Three Judge Bench of the Apex Court has issued detailed guidelines for proper implementation of the High Security Registration Plates (HSRP Scheme). The Bench headed by the Chief Justice of India Dr. T.S. Thakur disposed of Contempt petitions which had highlighted the issue of implementation of HSRP Scheme. 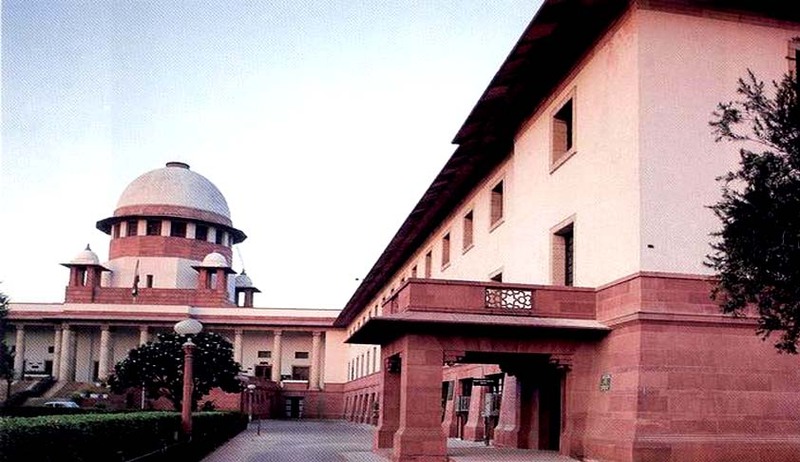 The contempt petitioner had alleged that the Central Government and others have not ensured the implementation of the orders of the Apex Court and have failed to discharge the statutory duty imposed upon them by law by not taking any appropriate action against M/s. Utsav Safety Systems Pvt. Ltd and its consortium partners for violating the terms of tender conditions and directions of Apex Court. The Court also said it is not inclined to initiate the contempt proceedings yet in order to enable the statutory authorities to keep a control over the implementation of the scheme. The Bench issued following guidelines. The State Governments shall ensure the strict adherence of Rule 50 of CMV Rules and various orders issued by this Court in Writ Petition No. 510 of 2005 and shall ensure that the selected manufactures are able to satisfactorily build the requisite capacity and infrastructure thereby ensuring smooth implementation at the grass root level. The State Governments shall ensure selection and authorisation only of those TAC manufactures who have been financially and technically competent to manufacture and supply the requisite number of HSRP in the State. Manufacturing of HSRP starts with the grant of TAC and CoP. Hence, periodic assessment, review and audit by the testing agencies of all the aspects involved in the HSRP product specifications, process compliances and operational procedures in totality is warranted. The testing agencies shall ensure that quality and specifications is not being compromised. Furthermore, the HSRP contracts should be awarded pursuant to a transparent tender process. The factors such as topographical and geographical conditions, vehicular population, adequate infrastructure, cost of managing logistics, equipments and human resources etc. must be considered before accepting any bid and entering into the contract. The authorized HRSP manufacturer shall not outsource the blank plate manufacturing as job work for the purpose of implementation of terms and condition of the Contract signed. HSRP Scheme should be done by the Concessionaire at the place designated by the State Transport authorities in accordance with the terms and conditions of the Contract and MV Rules/Order. The authorized manufacturer shall be permitted set up other/additional manufacturing units in accordance with the Acts and Rules. In any event, it is directed that any such other/additional units of Utsav commences manufacturing activity in any other location, due process of law will be followed and necessary approvals would be taken as envisaged under the applicable norms and 30 requirement flowing from Act, Rules, Order etc. and the Conditions stipulated under respective Tenders, as accepted. vi. HSRP manufacturers should carry out all the processes of HSRP project in the plant as indicated in the tender documents, namely: (a) purchase of raw materials, such as, reflective sheet, aluminium plate, chromium based hologram, hot stamping black foil film and non-removable snap lock for fixing plates, etc; (b) lamination of reflective sheet having blue endorsement of IND on the aluminium plate; (c) hot stamping of Hologram on the reflective sheet after lamination; (d) stamping of blank plate; (e) edge formation of the plate; (f) etching unique security laser coding number running serially having two allocated alphabets prefixed to the unique number as given in TAC; (g) the selected manufacturers should ensure that every process of the work is being done under its control with the help of trained workers and not to sub-contract or outsource any part of the process of the work to forgo security norms. Note:- All the above processes ought to be carried out in the plant of the manufacturer as indicated in the tender documents. The State Government should ensure that successful bidders or sub-contractors or other parties do not have control over the manufacturing processing and fixation of HSRP in any manner unless authorized under law. It must be ensured that one single person is responsible for manufacturing, affixation of seals, imprinting of umbers and affixation of HSRP on vehicles. 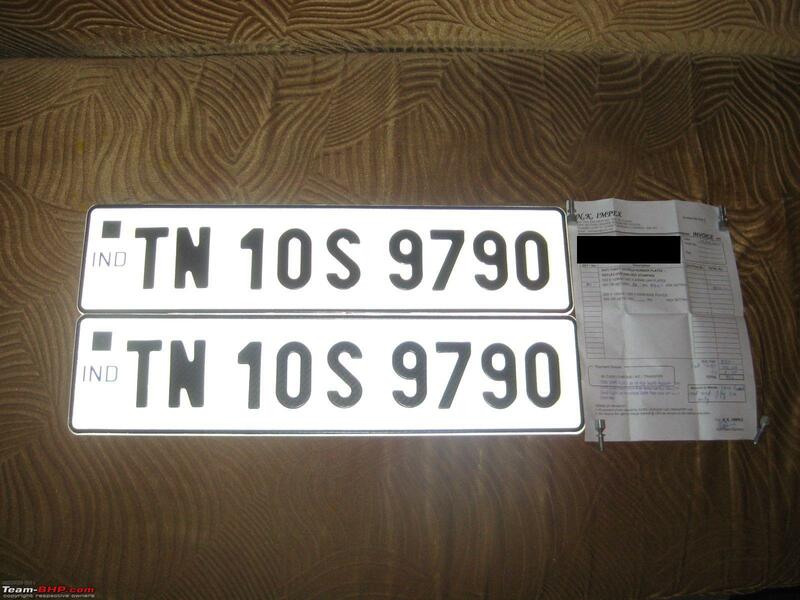 The record must be maintained by the manufacturer of HSRP as to the number of plates manufactured and made ready everyday alongwith weekly and monthly statements. The manufacturing unit must strictly govern and control the implementation of the process of production and fixation of HSRP. All the concerned authorities are directed to look after the aforesaid process being adopted for fixation of HSRPs and State must report back if the violation continues. The testing agencies along with the team comprising of State level officer (not below the rank of RTO) and one expert as nominated by the Transport Commissioner of 31 the respective State shall inspect the unit and certify the manufactured HSRP and manufactured HSRP shall leave the factory premises of the manufacturer only after being cleared by the testing agencies. The transport officials of the State Government shall ensure that manufacturing units are periodically inspected and ensure compliance of Rule 50 of the CMV Rules and also the terms and conditions of the Contract. Additionally the Central Government should form Committees in collaboration with the State Governments in order to keep regular check on the manufacturing units which are engaged in HSRP project. The manufacturing units must be periodically inspected by the Committee so constituted and report be sent to MoRTH and also to the Transport Commissioner of the concerned State highlighting the compliance or otherwise of Rule 50 of the CMV Rules, the terms and conditions of the contract and also any shortcomings noticed during inspection and suggestions by the team. The Central Government and the State Governments should strictly implement HSRP policy in all the States in a time bound manner. The Central Government and the State Governments should register complaints regarding the violation and, in case of violations, both the Central Government and the State Governments should take strict action in accordance with law. The Central Government should create a nationwide common repository of Vehicular Registration Data for achieving the basic objective behind the idea of HSRP scheme and thereby ensuring smooth implementation at the grass root level. It is directed that the concerned shall strictly implement the rules and also orders of this Court in letter and spirit and not dilute any standards of HSRP, voluntarily or otherwise. All the authorities must take proactive measures to implement the HSRP Order according to the provisions stated. The HSRP process initiated by States for implementation of the Scheme must be such that even in the case, where parties had bid in the capacity of a consortium or a joint venture, the State are under obligation in respect of tenders floated by the respective states to create a Special Purpose Vehicle which would finally enter into a Concession Agreement, but in any event the State must ensure that entire responsibility of HSRP project would remain with one entity/SPV which would be responsible for manufacturing, affixation of seals, imprinting of numbers etc. It is directed that Concessionaire would be exclusively responsible for the entire process. A specific direction is issued to Additional Commissioner (Traffic) and DCP (Traffic) to organize a special drive and compliance thereto must be recorded. The Central Government and State Government are directed to strictly regulate as well as monitor the implementation as per the provisions of law including the provisions of Motor Vehicles (New High Security Registration Plates) Order, 2001 and aforesaid directions issued by this Court.